Who doesn’t love Nutella? Chocolate hazelnut spread that tastes like fudge…yes, please! I will put Nutella on bread, bagels, in my ice cream, eat with strawberries, or dare I say just eat a spoonful of it when I get a chocolate craving. I had a big fat jar of Nutella sitting in my pantry and decided to try my hand at making some Nutella cookies to put that container of fudgy-goodness to use. The ingredients are really not that bad – there’s no butter or eggs in this recipe. I used raw cane sugar and mashed bananas instead of butter, and then added some white chocolate chips to change up the recipe. So bananas, raw cane sugar, Nutella…sounds like a nice healthy treat to me (okay, I may be lying to myself a little but these things are too good to pass up)! The recipe I used is slightly adapted from Warm Vanilla Sugar. 1. Whisk together your dry ingredients; flour, baking powder, salt, and cocoa powder and set aside. 2. Mix together the mashed bananas and sugars in a stand mixer (or hand mixer). Beat for about 2 minutes, or until smooth. 6. Chill dough in the refrigerator for about 30 minutes. 8. Line baking sheets with parchment paper and roll dough into balls (or use an ice cream/cookie scoop) and place on baking sheet leaving about 1 1/2 inches between the cookies. 9. Bake for 10-12 minutes. They will be soft but beginning to set. Remove from oven and let cool on a cooling rack for a few minutes. Mix together the mashed bananas (which replaces butter) and your sugars. The raw cane sugar adds a fun texture to the end result. I hate throwing out bananas! This is a go-to recipe when you have over-ripe bananas sitting on your countertop. You can replace butter with mashed bananas in almost any recipe. The slight flavor of banana in the chocolate cookie is fabulous! Add in the flour mixture and milk in alternating batches until combine. Yum, yum, gooey chocolate goodness! Stir in the white chocolate chips (if you desire), they taste oh so good with the chocolate hazelnut flavor! After the dough has chilled for about 30 minutes, place on cookie sheet and stick in the oven for about 10 minutes. All done! These cookies are so rich and delicious, you will want to keep some around the house to stick into your bag for a quick snack on the go. How can you resist a gooey Nutella cookie dripping with white chocolate?! Sneak some of these into your backpack for a delicious midday snack during class. Our Dakine backpacks even have insulated pouches just for your snacks, how convenient and perfect is that! From now until September 1st you can get $10 off a backpack when you use the following coupon code: BKP899! 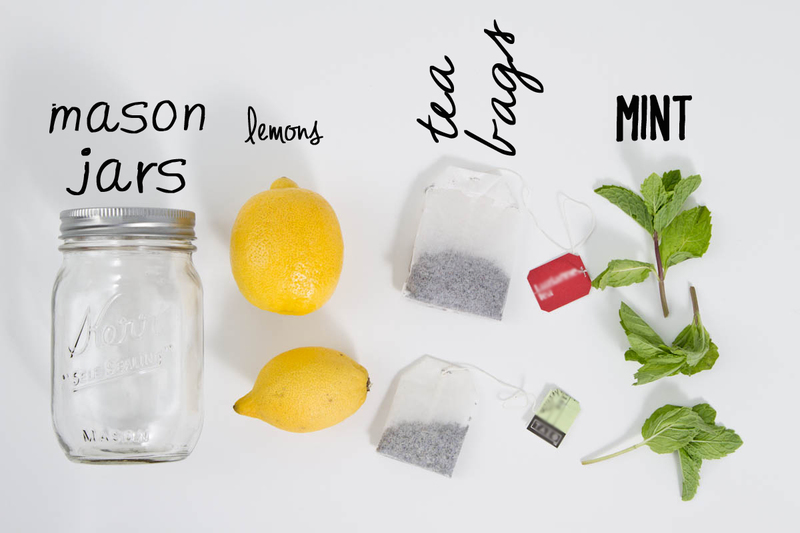 All you have to do is fill up your mason jar or pitcher with water, add the tea bags. 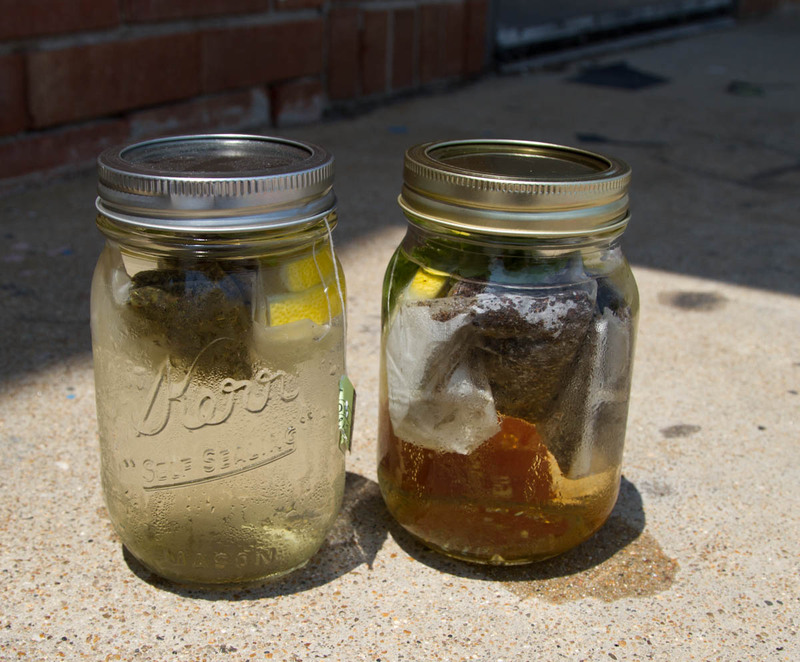 We used two tea bags per mason jar, but you could alter the amount depending on how strong you like it. Next, we sliced up a lemon and dropped the slices right in, added some mint leaves, and done! We let these jars sit out in the sun for about 2 hours. Meanwhile, Kaity and I made some berry infused ice cubes to put into the finished tea. Quite simple, but genius. 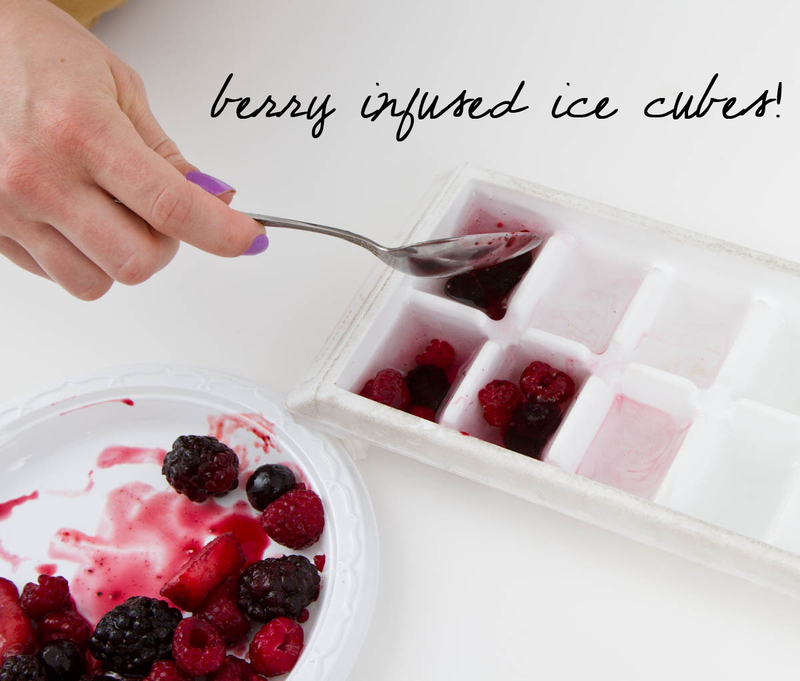 Just put some frozen berries in an ice cube tray and fill with water, and freeze! Success! My mouth was watering just looking at those beautiful colors. We added the berry infused ice cubes to our jars (okay, and a packet of sugar), and enjoyed our creation. It was magnificent. 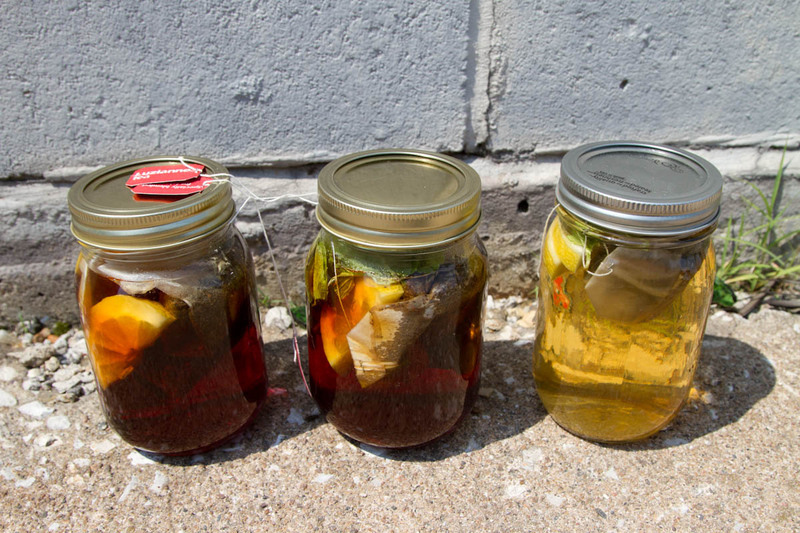 I believe everyone should enjoy something as sweet and simple as some homemade sun tea every Monday! Try it out yourself! 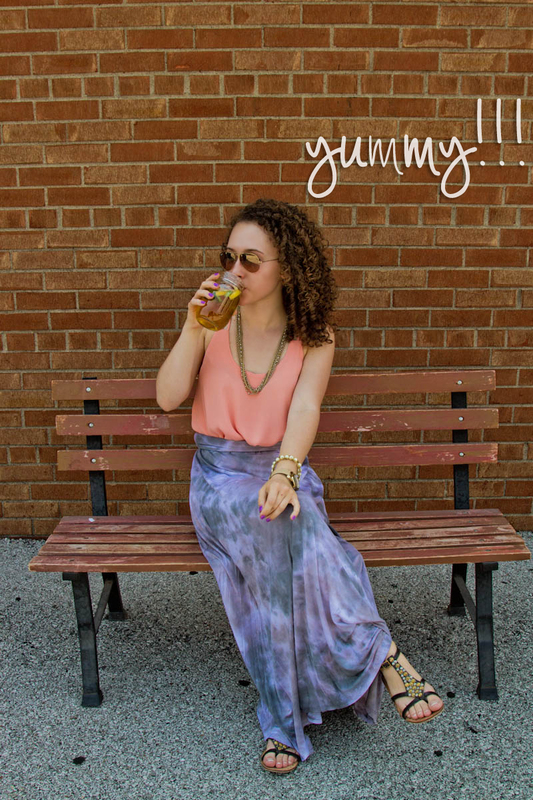 Check back with us every week for inspiration, recipes, style advice, and new products!